To configure OneLogin to sign in users into Humanity using SAML, follow those steps. In OneLogin, navigate to Apps > Find apps and search for Humanity. Click Add. In the Add Humanity screen select for the app to be used by the Organization and select SAML 2.0 for the Connector Version. Press Continue. Type your Humanity subdomain into the Subdomain field within the Configuration tab. Under the Single Sign-on tab copy the Issuer URL to the clipboard for use in Humanity later. Set the credentials to Configured by admin and select a default User ID value of email or something equivalent to email to use as the Humanity credential. From the left ribbon click Settings icon, then within the panel select Single Sign-On. 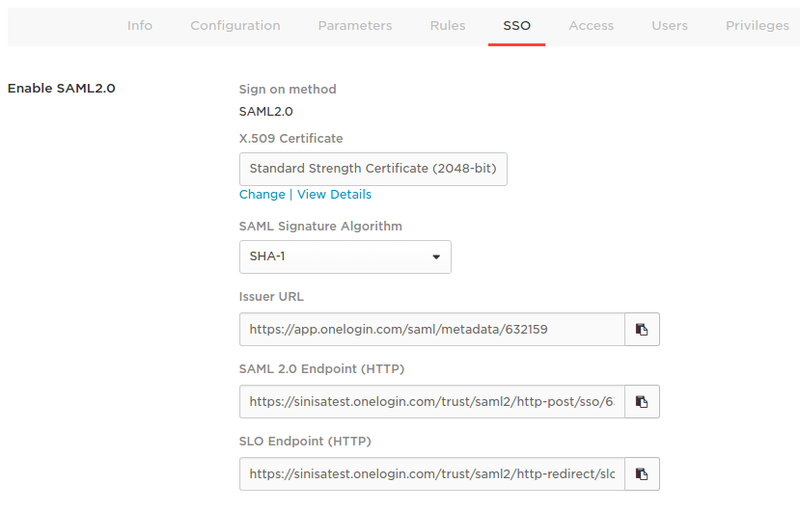 Enable SAML SSO by checking SAML Enabled. If you would like to force users to use SAML SSO instead logging in at Humanity by typing in the user and password, do not check Allow Password Login. Complete the fields Remote Logout URL as shown above (i.e. https://app.onelogin.com/client/apps). In the field SAML Issuer URL, paste the SAML Issuer URL you previously copied into your clipboard. 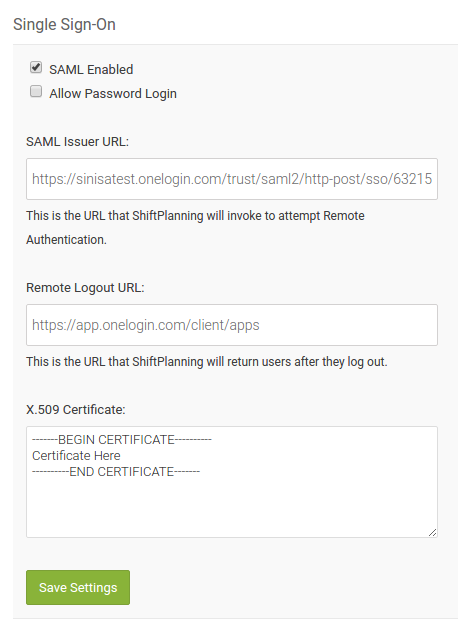 In OneLogin, click Security the SAML and copy the x.509 certificate, including the Begin and End portions. Paste that into the field X.509 Certificate in Humanity. Enable SAML SSO by checking Enable SAMLv2 Single Sign On. Click Save Settings to save the setting. Make sure you are logged out of Humanity. Click the Humanity icon on your dashboard. This should log you into Humanity. Click Apps, then Company Apps. Navigate to the Logins tab. Locate your user and click Edit. To use a different user ID with Humanity, type it in the User ID field and click Update. Navigate to the portal and re-test by clicking the Humanity icon.